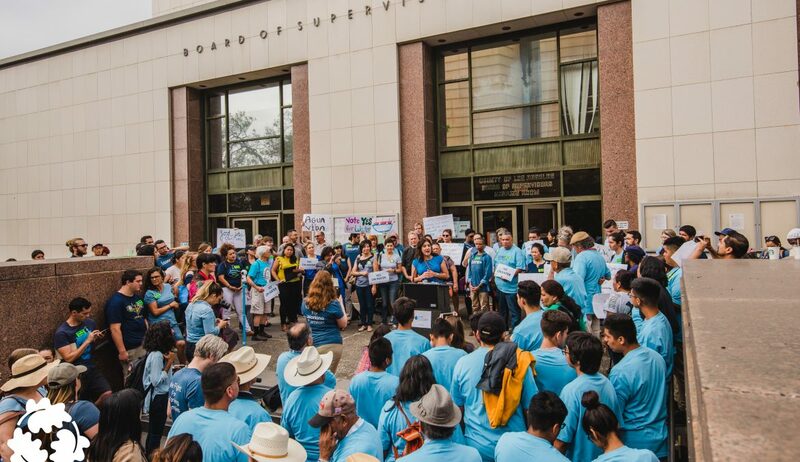 LAANE is a proud member of the Our Water LA coalition, a group of community and environmental organizations working to secure clean, safe, affordable, and reliable water for all. Working closely with the LA County Federation of Labor and the Los Angeles/Orange County Building Trades Council, we are advocating for projects that can reduce stormwater pollution and improve our local water resilience, while also creating good construction jobs that build stormwater infrastructure. Los Angeles has been in the midst of a severe drought for the past several years. However, when there finally is ample rainfall—as in 2017—the abundance of stormwater runoff pollutes our waterways and flows out to the ocean. Currently, Los Angeles County Public Works projects capture enough rainwater to serve the annual needs of 1.5 million residents; however with the right stormwater projects in place, officials think that we could have enough water for about one-third of LA County’s residents. Our Water LA is currently focused on Measure W for Safe, Clean Water , a Countywide ballot measure that would generate a dedicated source of revenue for stormwater projects, so that we can better capture and clean this water. This revenue would fund green infrastructure and multi-benefit projects, which meet stormwater and recharge goals while providing additional benefits to local communities. Click here to read key findings from a Los Angeles County Water Resilience survey of 1,500 registered voters in Los Angeles County. LAANE’s research, available here, found that over 30 years of investment possible with Measure W funds, more than 6,500 new construction jobs and 1,300 new operations and maintenance jobs are possible. Water-focused environmentalists and engineers are studying how to best approach water infrastructure, and LAANE, as part of Our Water LA, is working with them to ensure that the jobs and job pathways, targeted hire, and equitable outcomes are integrated into these investments. 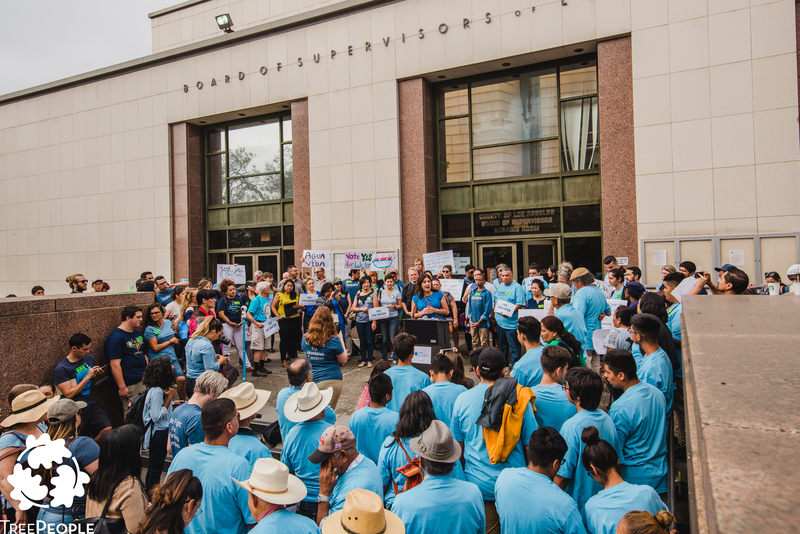 We are organizing in diverse communities across LA County to push for extensive outreach and engagement in low-income communities of color, and to ensure that water projects in lower-income areas are given priority.